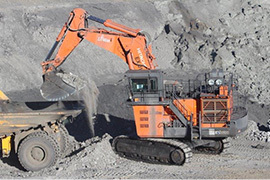 Hitachi Equipment is the world best leading brand by quality and workmanship, one of the proof is that Usukh Zoos LLC have increased their technical numbers again with EX1200-6 excavator 6.7m3 bucket. In Mongolian harsh climate mining division always requires us endurance and headpiece. Zamine Services LLC was established in 2010 since that time we have been focusing on keeping our customers trust and it's our primary goal. It has been quite some time since we delivered our Hitachi EX1900, EX1200, ZX470, ZX450 excavators to Usukh Zoos LLC who operate in SouthGobi Aimag, Gurvan Tes Soum. During this time our experienced team kept the technics availability above 90%, by reliable service completion and supplying spare parts on time. 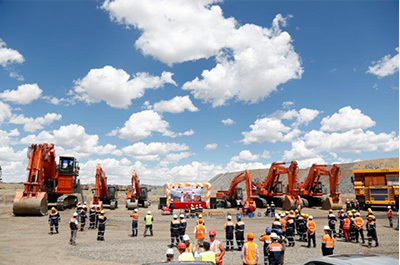 Service Director Ganbayar O. and his team have successfully assembled in a short period of time and handed over to the customer, now this mine has total of 7 Hitachi brand excavators.